-The club is the richest football club in terms of annual revenue, generating €479.5million in 2011 and the second most valuable, worth €1.8billion. One of the first shirts I had. You can notice this collar is the one of the kid's shirt, because it has a different shape from the original one. 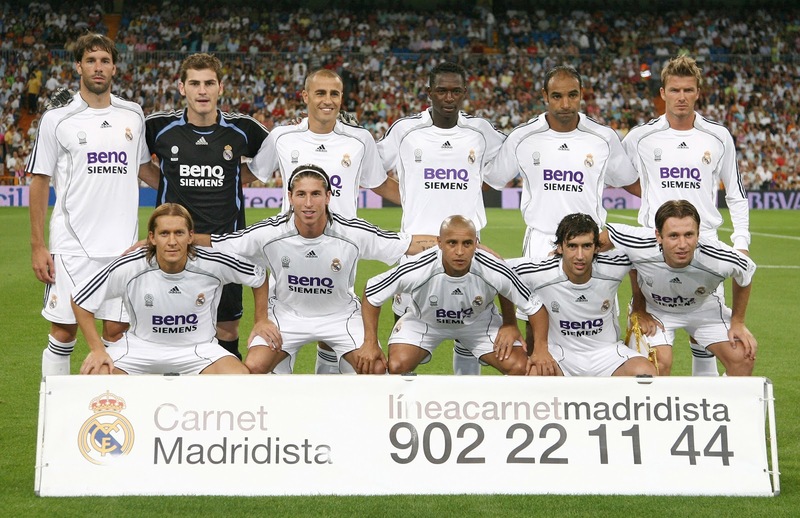 I've been remembering the good old days when I've seen the team photo with Van Nistelrooy, Beckham, Míchel Salgado, Raúl and Roberto Carlos. 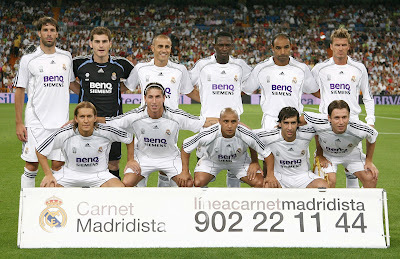 That team was very different than the one these days. I do think Mourinho is between the three best coaches in the world. However, he isn't doing anything but harming Real Madrid, and in my opinion this season should be his last opportunity to show he can win something important.